When we hear the word ‘History’ it probably means different things to each of us. Many will remember the tedium of being talked at by our former history teachers whereas in some cases they brought the subject alive so you could almost reach out and ‘feel’ the history. Those of us who liked the subject might have followed it up in later life. However, whatever our experiences at school, almost all of them involved famous people such as Kings and Queens, politicians or maybe somebody who was famous in battle such as Horatio Nelson. During the last 40 years or so, the stories of all of us have become more available. 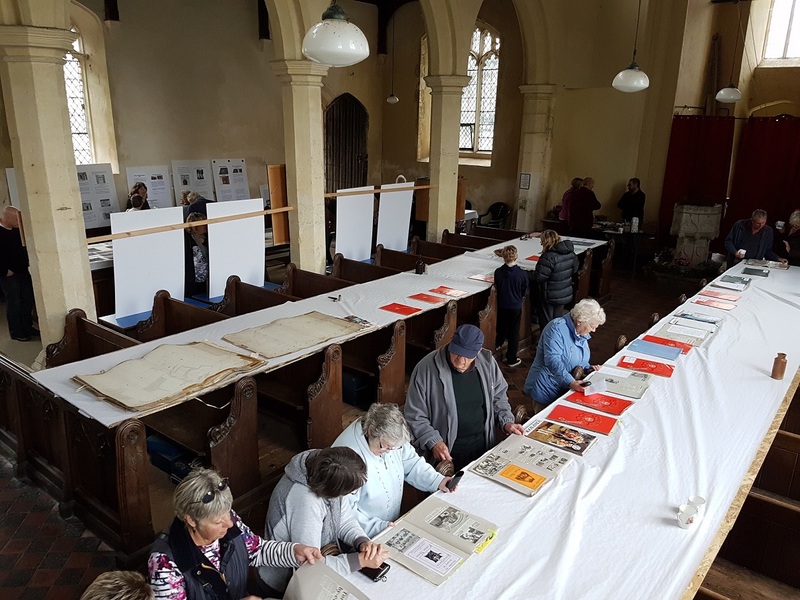 Family History has never been more popular largely through Records Offices such as the one in Bury St Edmunds but also family history websites like Ancestry, Find My Past, The Genealogist and others. Other websites deal with specialist subjects such as the Commonwealth War Graves site. There has never been so much “history” available on-line. Additionally the places where we were brought up, or where we live now, also reveal how our ancestors lived through local archives and ‘Spoken History’. This is also true for Badwell Ash. There is an enduring fascination about discovering the life and times of ordinary people, us! and this is why History Societies are springing up and are becoming more and more popular. Sometimes, as in the case of Badwell Ash, our ancestors might have mingled with or seen Royalty in their day to day lives. For instance, Mary Tudor, a sister of Henry VIII, lived at Westhorpe with her husband, Charles Brandon, Duke of Suffolk and whenever she ventured out of Westhorpe Hall towards Bury she would have had to travel through though our village. Mary Tudor, Queen of France and Charles Brandon, Duke of Suffolk who lived at Westhorpe Hall. These enthusiasts have been joined by others and as a result the Badwell Ash History Society has been formed. It may be that you want to find out about your ancestors or the village itself in which case, do come to our Exhibitions. 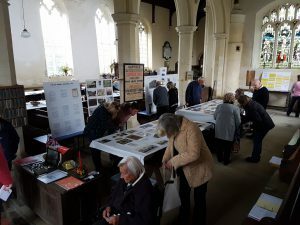 The History Exhibition in St. Mary’s Church, October 2016. Maybe you just want to know how to find out about your own Family History. We can help you to get started. Alternatively, should you want to join us, do let us know and we’d love to see you. 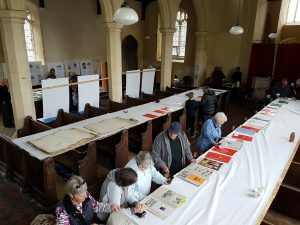 We meet approximately every other month to discuss what topics members are researching and to arrange forthcoming exhibitions and talks.